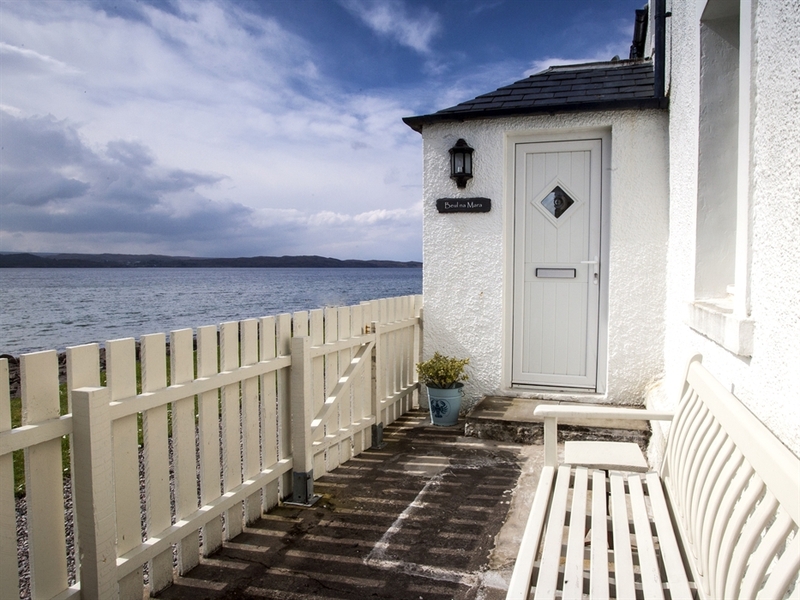 A pretty, whitewashed property set on the shoreline in Gairloch. 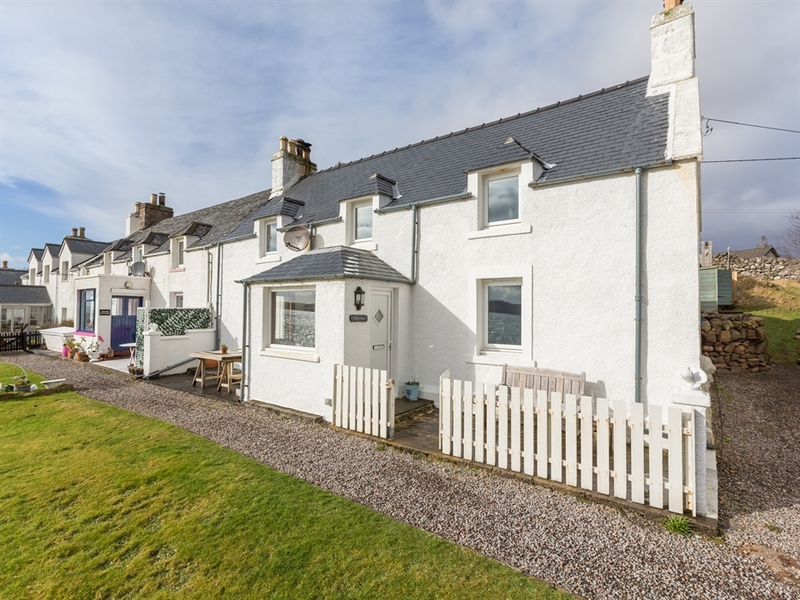 When approaching Gairloch along the Strath Bay coast road your eyes are drawn to a row of pretty, whitewashed cottages and Beul na Mara is one of these. 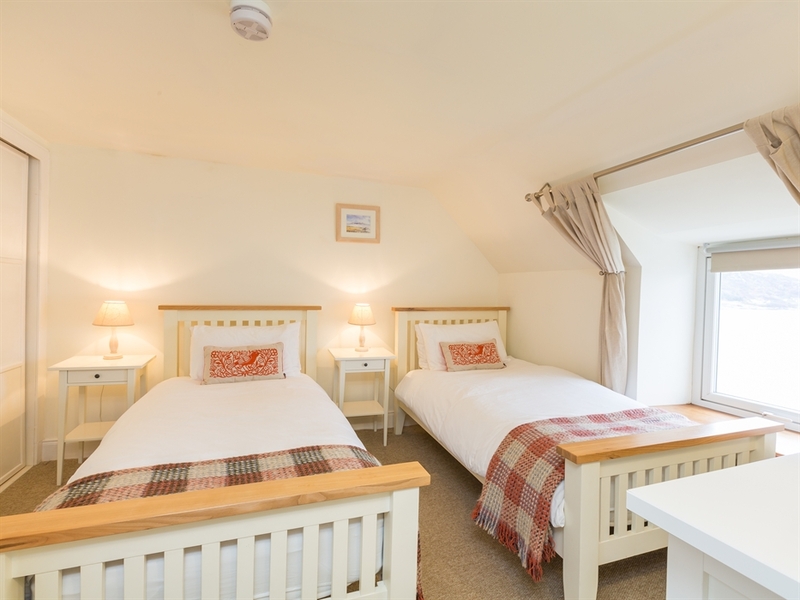 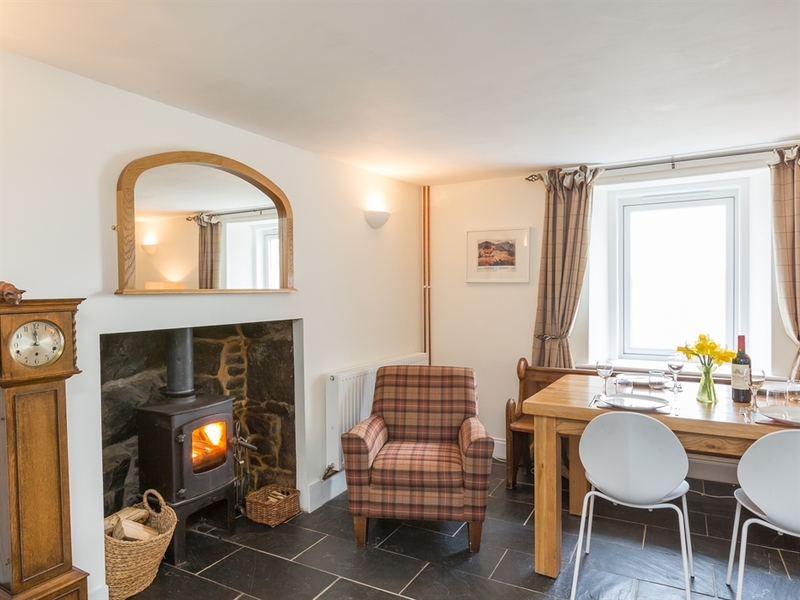 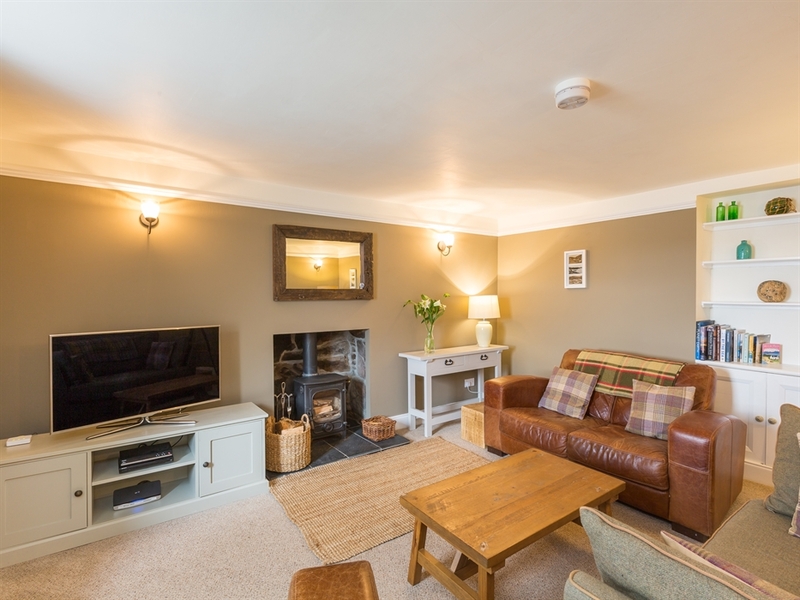 A couple of minutes from the village centre, and with the sea on your door step, this is the perfect setting and cottage for a very memorable holiday. 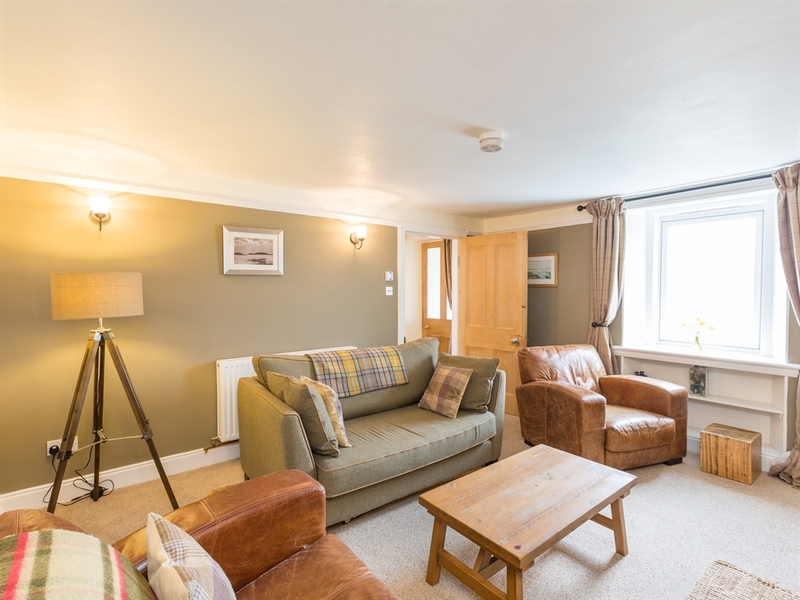 It’s location in the centre of the village means it’s within easy walking distance of shops, places to eat and drink and of course several sandy beaches to walk along. 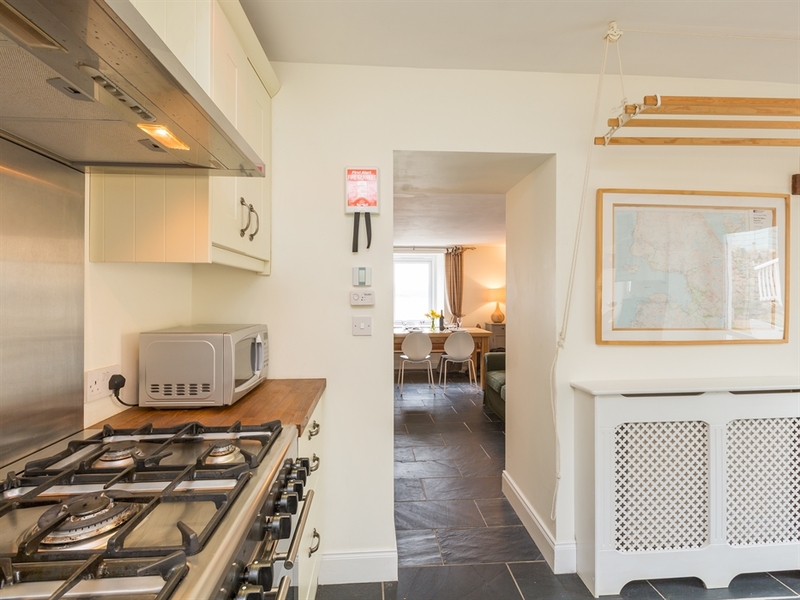 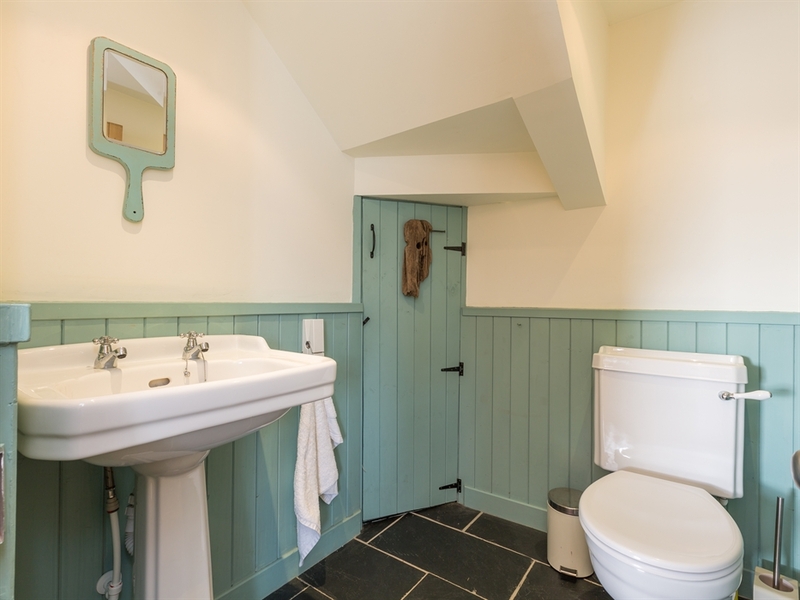 Beul na Mara has been completely renovated and modernised to an excellent standard whilst incorporating all the original features of this west coast cottage. 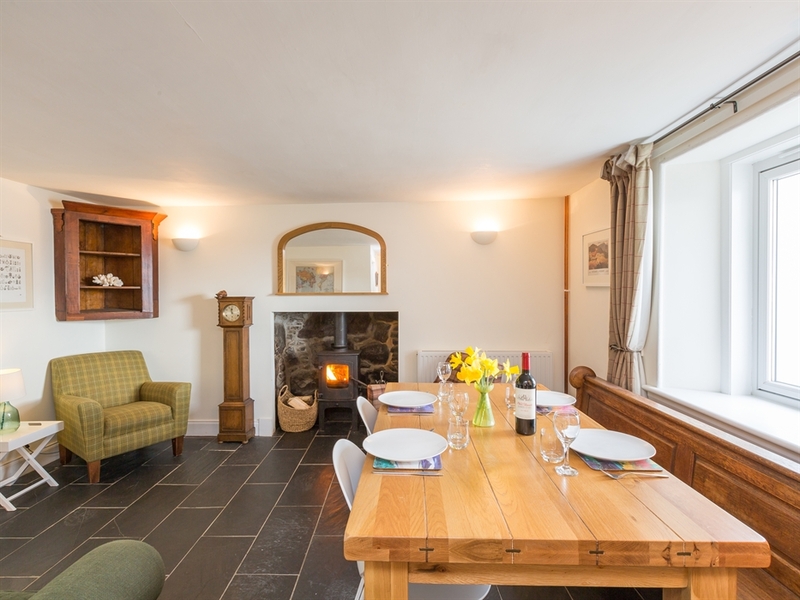 With two wood-burning stoves in the ground floor rooms, central heating and double glazed windows throughout, you can be warm and cosy whilst watching the waves on the rocks, just yards from the front door. 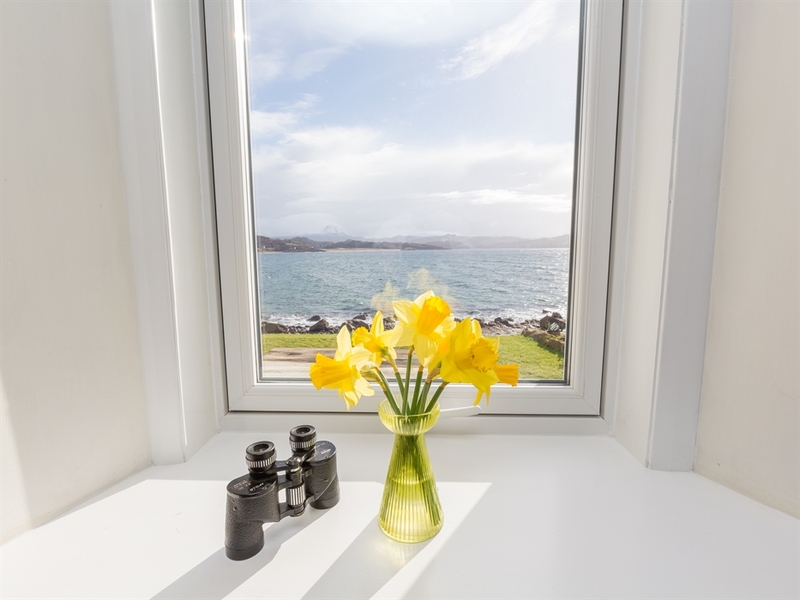 South facing, the front of the house enjoys the sun throughout the year, and during the summer the sunsets to the west and towards the Isle of Skye are remarkable. 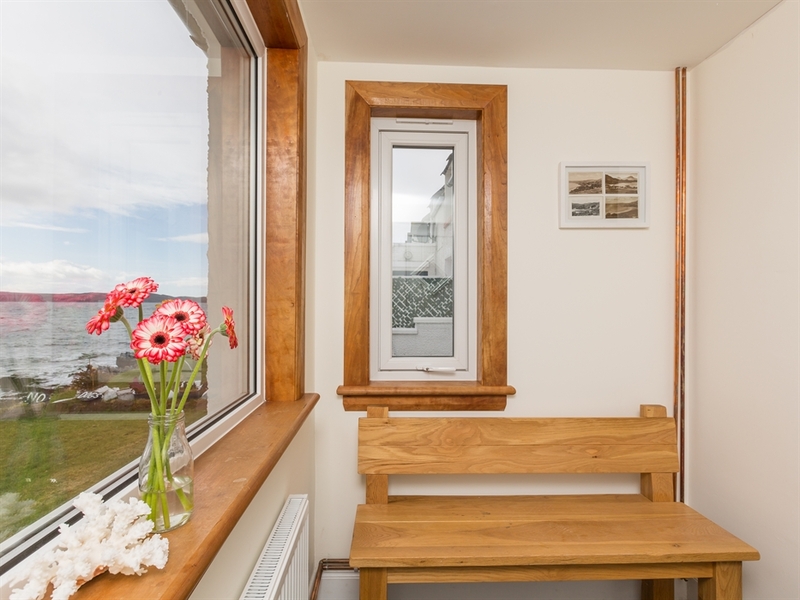 Even in the depths of winter, you can sit and admire the views from the snug sea facing porch. 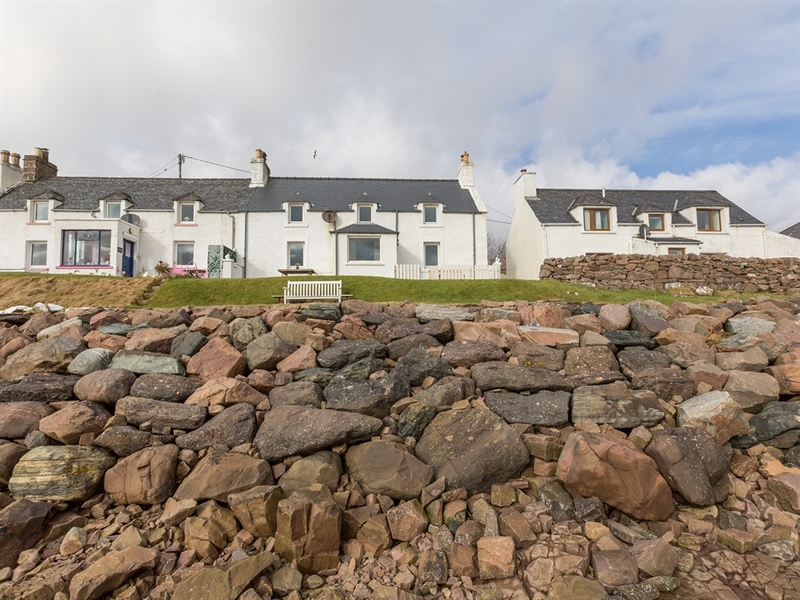 Directly in front of the house is a sloping grassed area leading to the rocks and the sea. 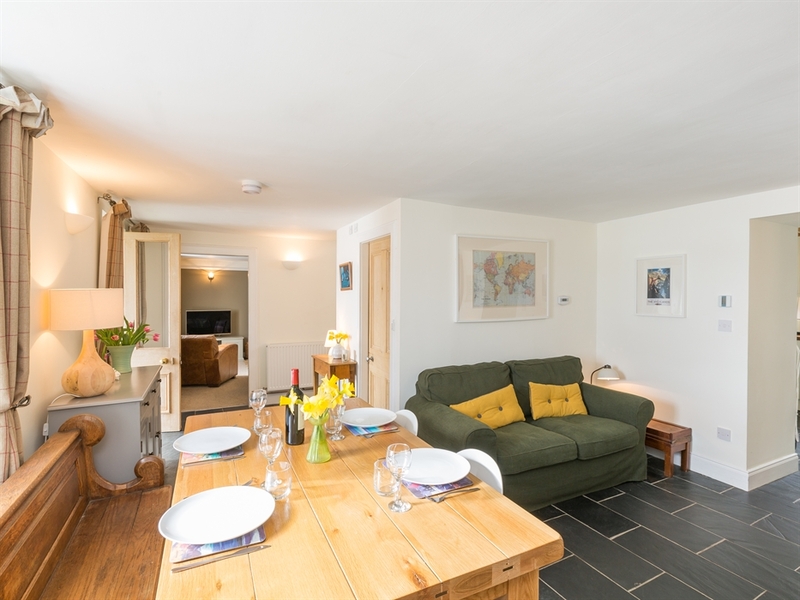 The ground floor has been opened up to give a stone floored spacious living and dining area, with dining table, sofa and wood burning stove. 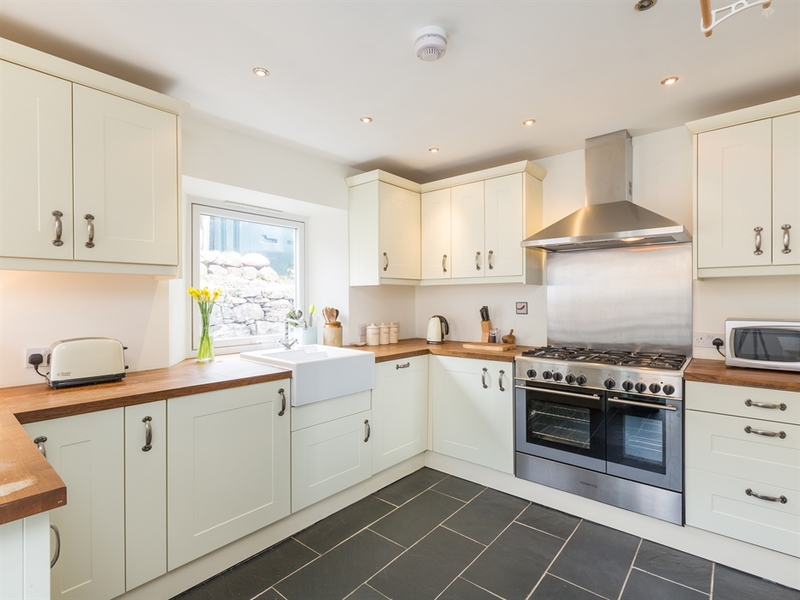 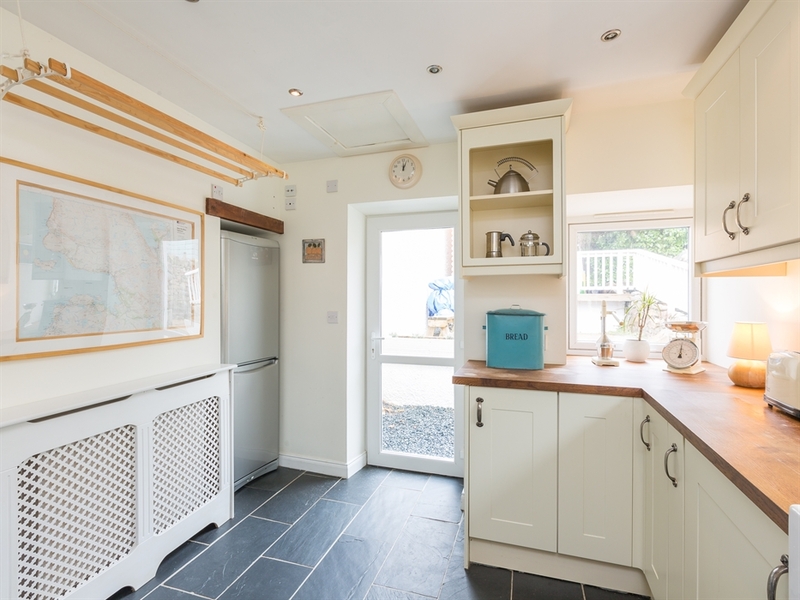 Leading off is a bright, fully fitted kitchen with access to the split level decking and small rockery garden to the rear. 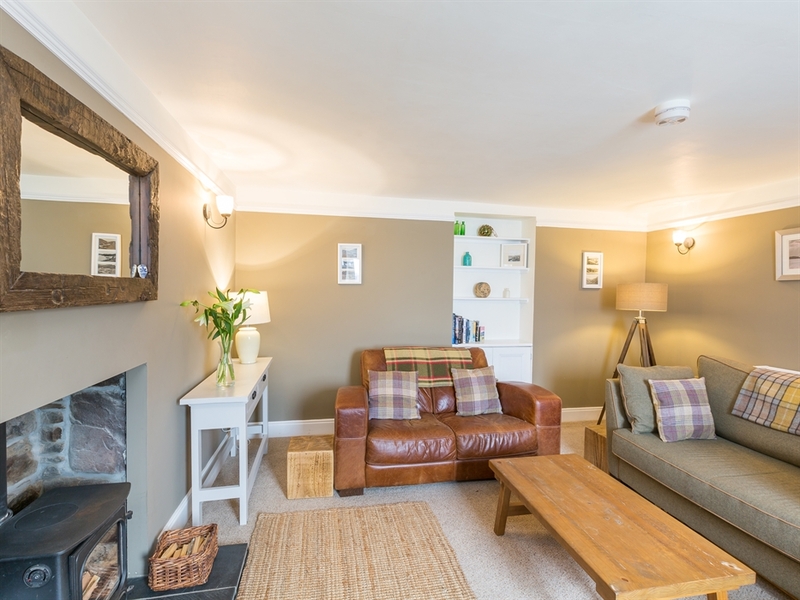 Off to the left is a large lounge which is decorated and furnished with rich warm colours and tweeds, wood burning stove, TV and ample seating for four. 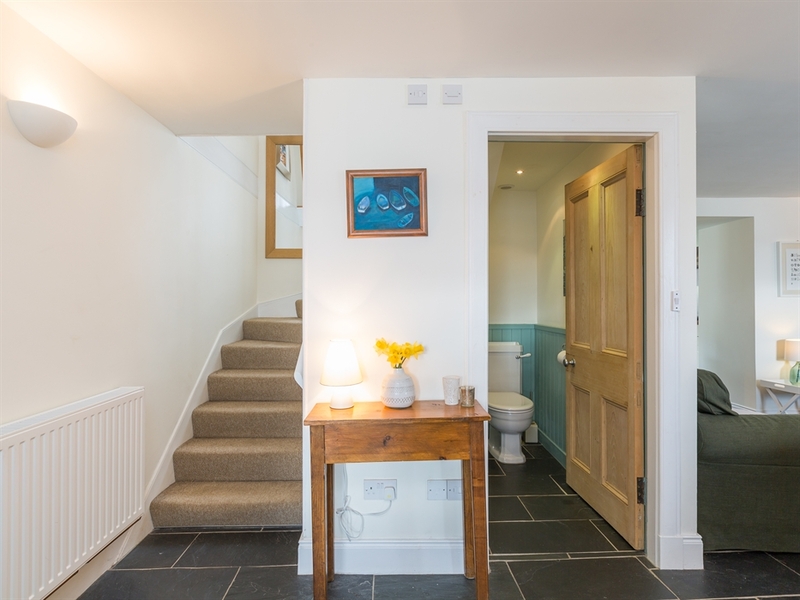 There is a small w/c with whb on the ground floor. 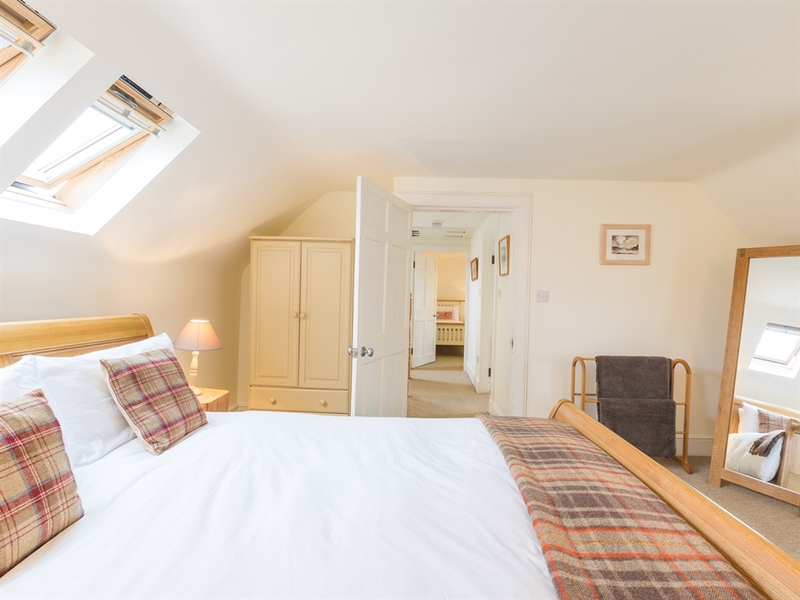 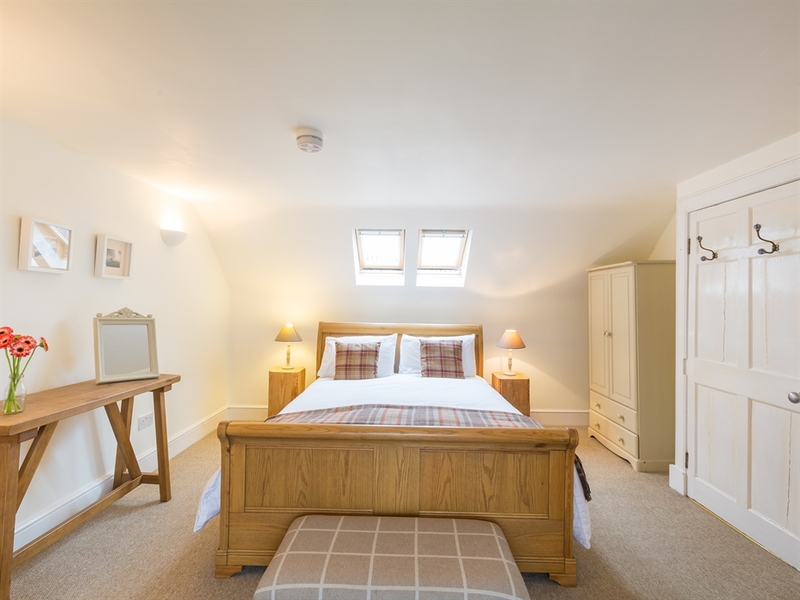 The stairs, landing and bedrooms are all carpeted and decorated in brilliant white with matching bed linen, tweed and tartan accessories and solid wood furniture and beds. 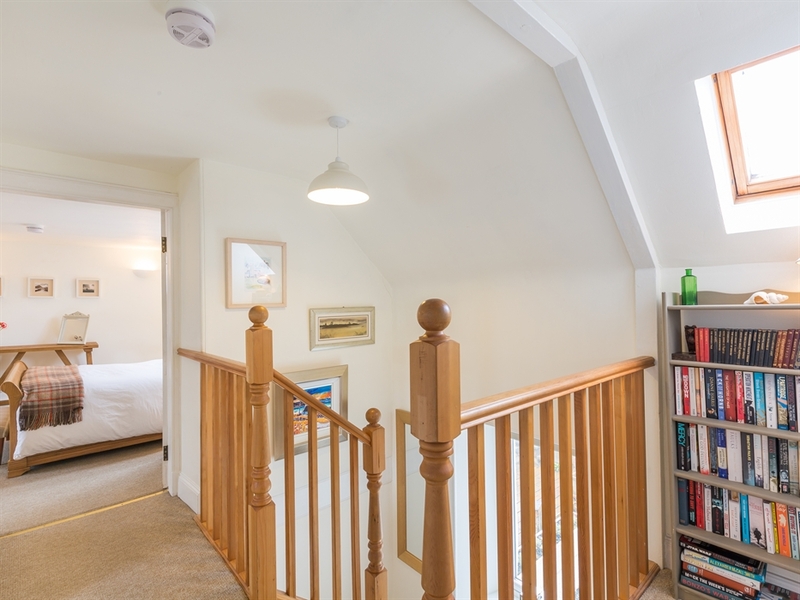 The twin is the slightly smaller of the two bedrooms but both have sea views, window seating and plenty of storage space. 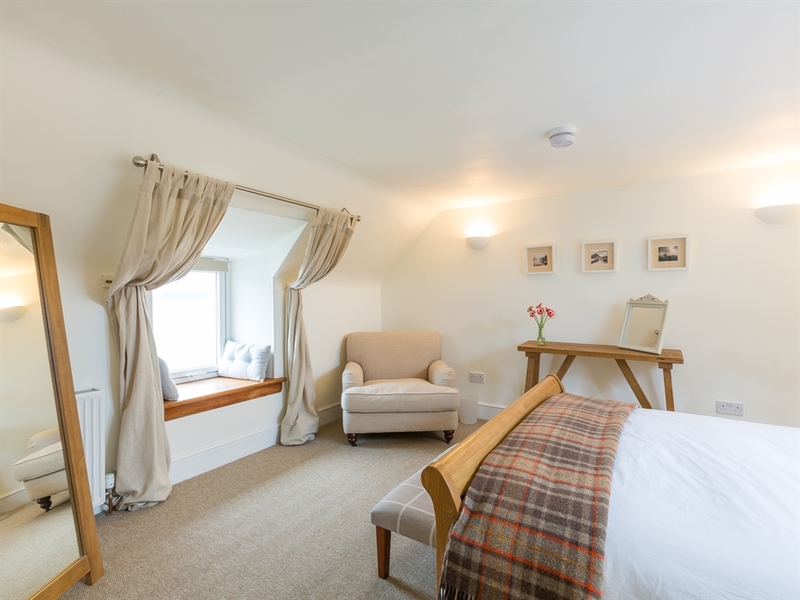 The king-size bedroom has additional seating and roof velux windows making it a lovely bright room. 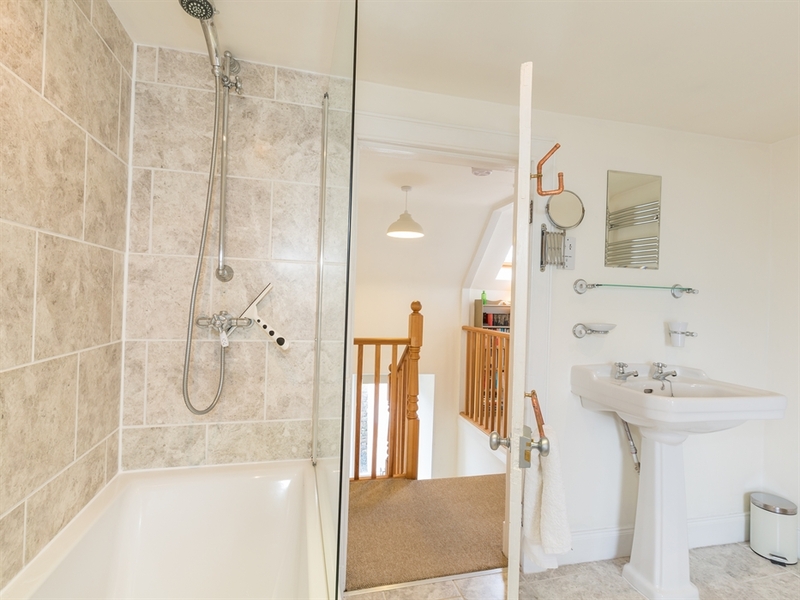 There is a bathroom with bath/shower, whb and w/c. 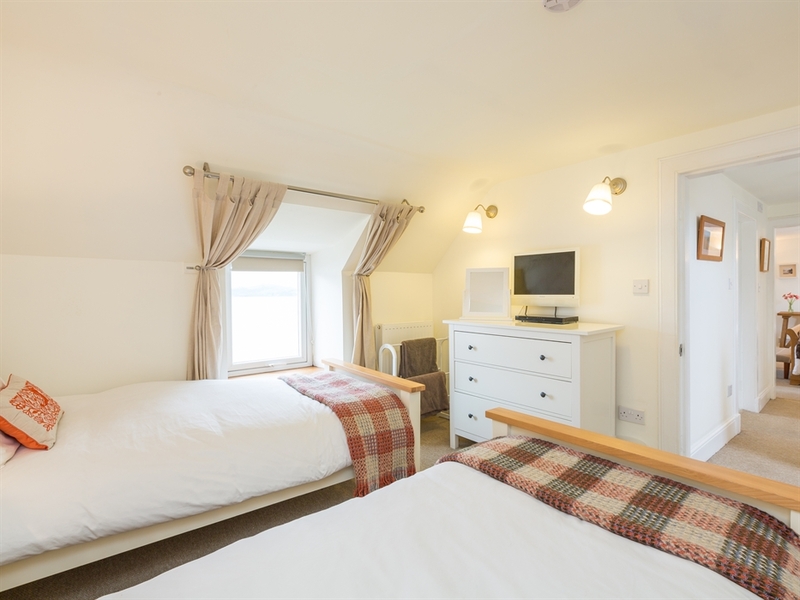 Wi-Fi is available free of charge and there is also an i-pod dock which is blue-toothed enabled. 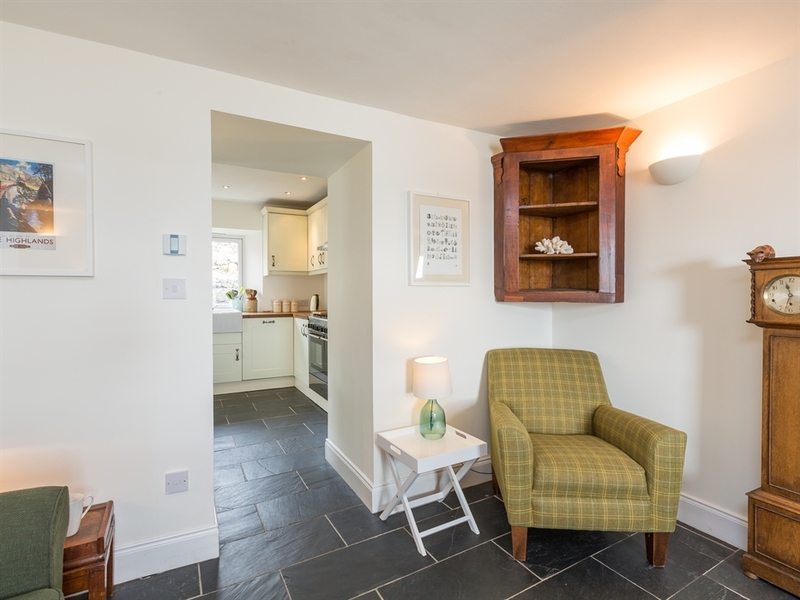 The cottages’ position down by the shore means you have the feeling of almost complete seclusion. 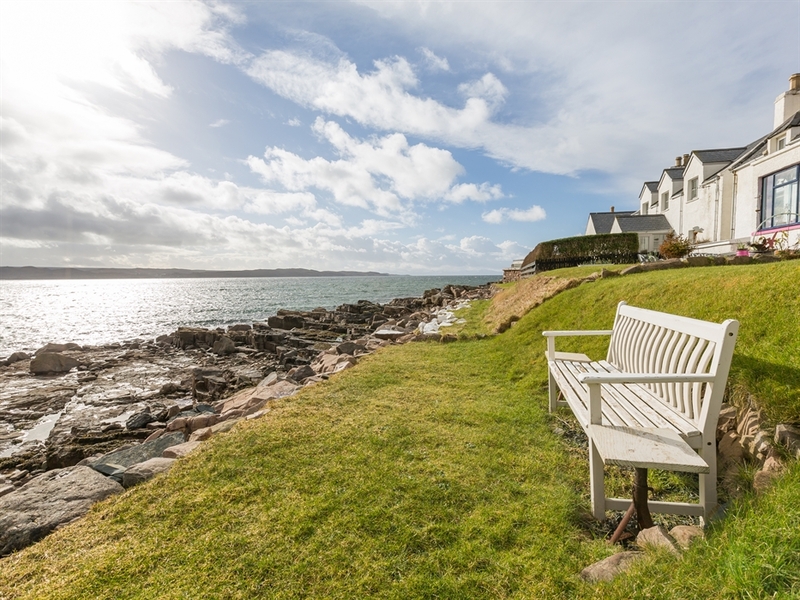 Whether sitting on the bench down by the sea waiting for a glimpse of a seal swimming by or sitting in the porch looking out at the 180 degree view of Gairloch village round to Badachro Bay, Red Point and finally the Isle of Skye, it will certainly be a place you’ll want to return to.